Tour to Wolf's Lair and Mamerki - Polish Tours & Travel Agency - Greetings from Poland! Our tour will take you to the Mazurian forests where you find the ruins of Adolf Hilter’s war headquarters. 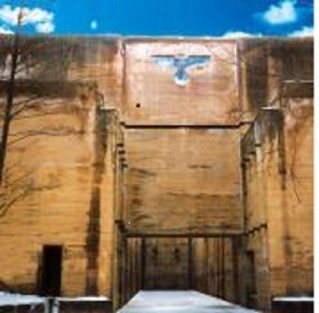 It was a hidden town in the woods and consisting of over 200 buildings like shelters, barracks, a power station , even two airports and a railway station. This is the place where Claus Schenk von Stauffenberg made a failed assassination attempt on Adolf Hitler on 20th July 1944. Our local guide (speaking German, English) will show you all important places in secured Wolf’s Lair area. Just after your visit to the Wolf’s Lair you will visit the Mamerki (18 km from the Wolf’s Liar) – a small hamlet with one of the best preserved complex in Poland undamaged German bunkers from World War II – Headquarters of the German Army (OKH). Where the Wehrmacht was built about 250 objects, including 30 concrete shelters that have been preserved undamaged to the present day. – replicas of the V2, aircrafts, U-Boot submarine and many other expositions. Moreover you may go up to a top of the tallest tower in that region (38 m high) to see the whole are, and take a walk along the Mazurian Canal. The canal although never completed was an idea to connect the Mamry lake with the Baltic sea. Nowadays walking along the Mazurian canal you can admire some parts of the construction work from 1911 and 1934. Price includes: transfers by a car, van from Gdansk or Warsaw, our Gdansk / Warsaw driver-guide assistance, entrance tickets to the Wolf’s Lair and the Museum and tower in Mamerki with local guides in English or German. We suggest to stay at the Mazuria region overnight to visit all the places without any hurry. We can offer you an accommodation at guesthouse or hotel – an overnight prices starts from USD 20 / person. More details on your request.